Like a vast majority of the population, I love food. With my love of food has come an equal love and curiosity for preparing it. I am by no means a chef, but I do have a profound appreciation for quality ingredients and would describe my cooking style as simple, but exploratory. 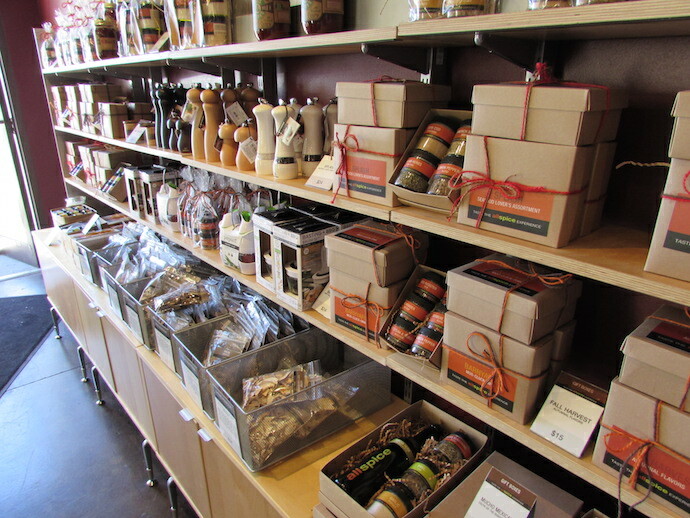 My favorite place to discover fresh tweaks and tricks to add to my recipe repertoire is hands-down, Allspice Culinarium in the Historic East Village. The scent of the shop alone is enough to draw me in! Just try and walk past the shop entrance and tell me it doesn’t smell delicious! Trust me, you wouldn’t disagree. Upon entering, the shopkeepers greet you with a smile and are more than willing to help you find whatever you need. 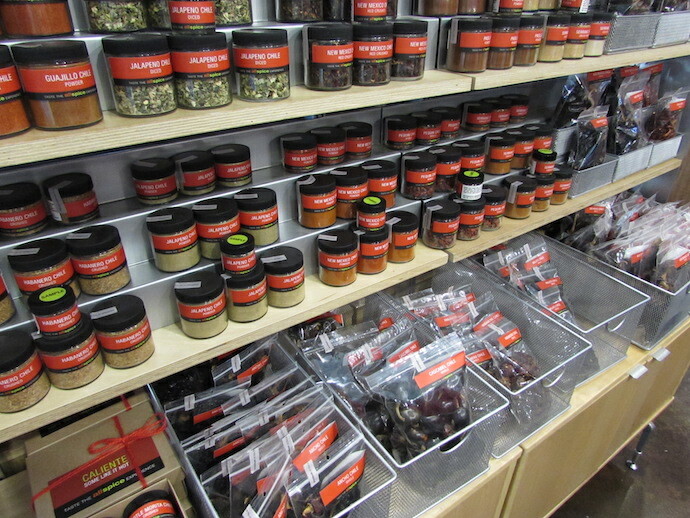 The shelves are stocked with delightful glass jars of any spice or seasoning you can imagine and some you’ve probably never heard of before. 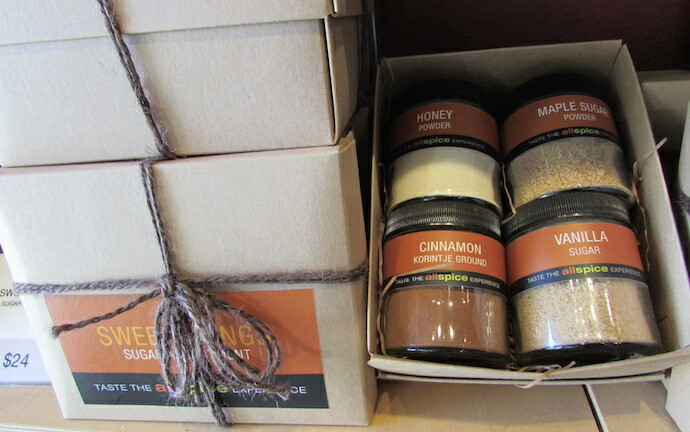 Along with the spices in their pure form, you can find rubs and seasoning blends to suit whatever your cooking or baking needs might be. 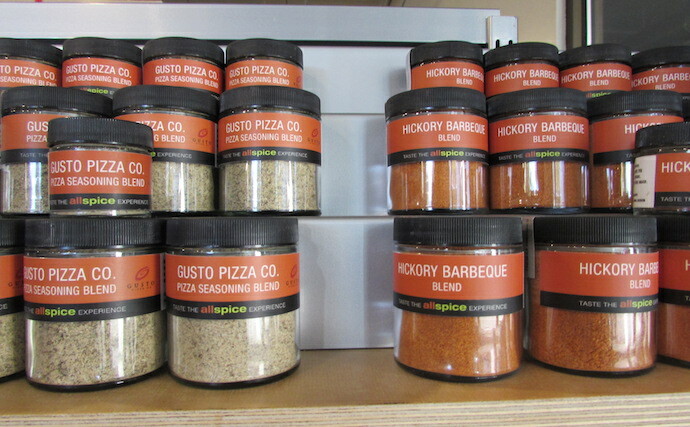 My absolute favorite is the Gusto Pizza Co. Pizza Seasoning blend! It’s a fantastic addition to tomato sauces and pasta salads. It’s also great shaken on to french fries or roasted potatoes, and of course, pizza! 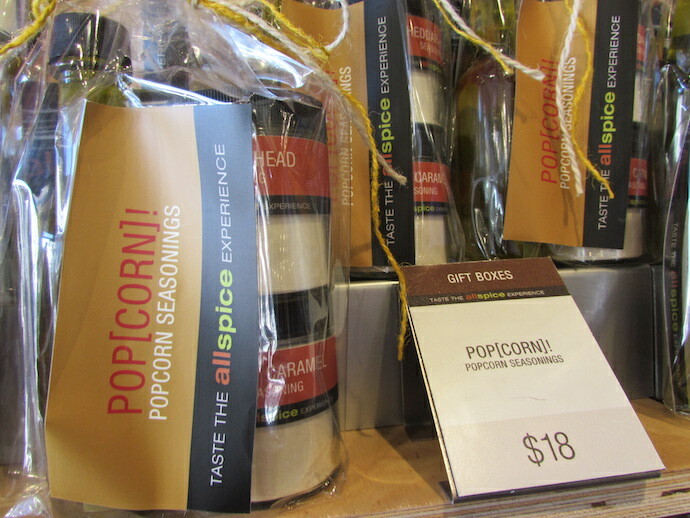 A close second favorite is the Hickory Barbeque Blend! I plan on using it to achieve the smoky taste of summer barbecue through the winter months when it’s just too cold to go out and fire up the grill. Looking for something new, but not really entirely sure what that might be? Allspice has got your back. Many of the jars give recommendations for use and serving suggestions. 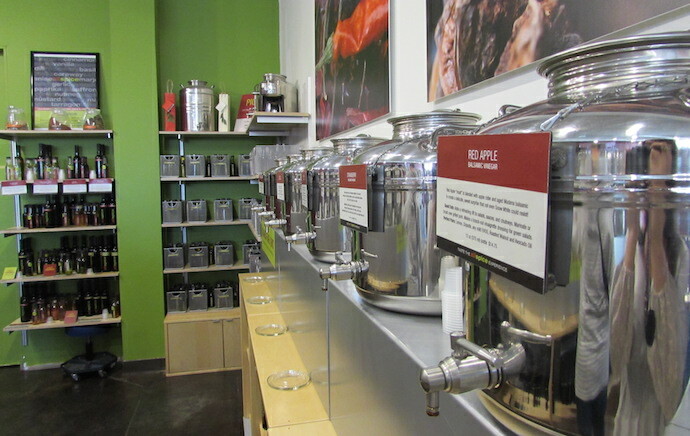 In the back portion of the store, you will find dispensers filled with flavored olive oils and vinegars. You can even sample them to find the one that best fits your culinary needs. Pairing a vinegar and oil for a special salad or entrée is made simple too! Suggestions are posted amongst the dispensers for easy viewing. Jazz up your holiday cooking with a different take on traditional dishes. 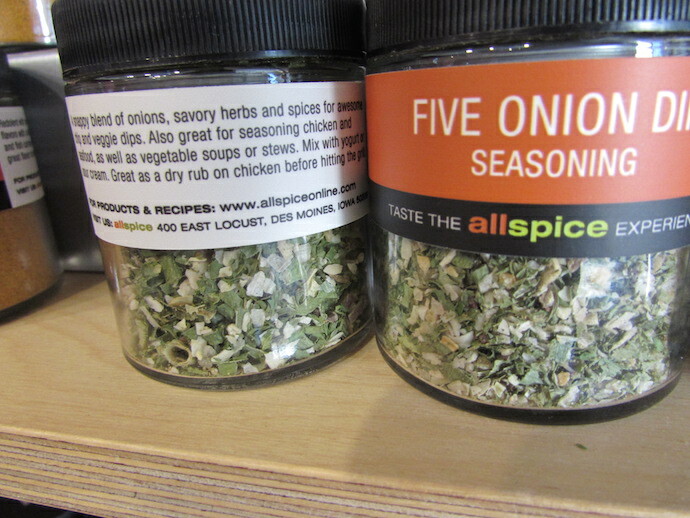 The Allspice website features a plethora of recipes. From tried-and-true crowd pleasers to more daring cooking or baking undertakings, there are recipes for all tastes and skill levels. I’m thinking about testing this one out for Thanksgiving! 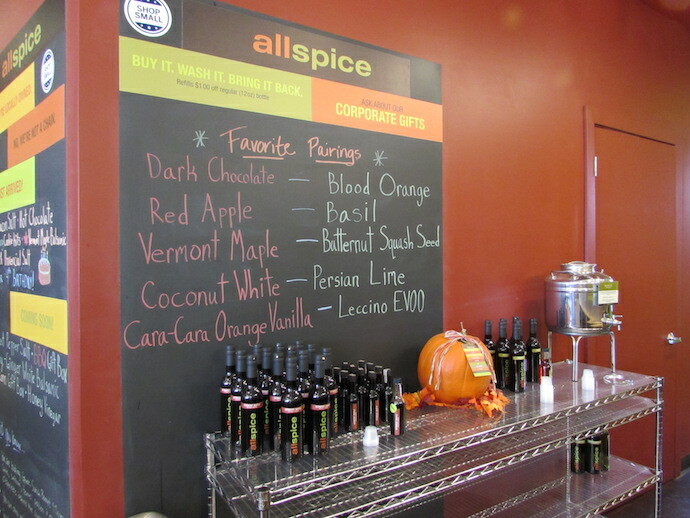 For all skill levels and all tastes, Allspice has what you’re looking for. 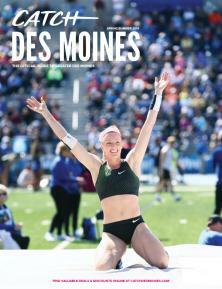 Upcoming Iowa State grad (December 2014) & guardian to a 6 year-old cat named Button. Interests include Harry Potter, Food Network & good coffee.